When it comes to working with clients like the military, quality and reliability in all areas of manufacturing is crucial because their applications are too critical to fail. This is most certainly the case with electro-mechanical assemblies. After all, the military aims at running as smoothly as possible, and in order to do this, the right materials in their computing & mechanical systems are paramount to their success. In order to understand electro-mechanical assemblies in terms of military applications, it is perhaps best to look at the construction & use of these assemblies in terms of 1) what they are; 2) the ability to deliver the necessary materials; 3) having the proper certification; and 4) the ability to deliver a finished product on time. In essence, a device with an electrical & mechanical component can be referred to as electro-mechanical. Think moving parts powered by electricity or that have electricity running through them. There are an endless number of devices that can qualify under this definition, but typically you are referring to things related to computers or that are operated by computers. Items such as fan tray assemblies, box build assemblies, and switch & sensor assemblies all constitute electro-mechanical assemblies. With respect to the military, assemblies are put through to the test because they will face tougher field conditions. A typical assembly might do the job, but as with most things military, there's a need for electro-mechanical assemblies to go a bit further. Again, you're talking about an industry that has critical missions that depend on all equipment to be working at all times. Failure is not an option. As the military contracts this type of work out, they, too, need to be sure that the manufacturer they plan on working with can actually produce what they need. It's also important that the prospective manufacturer the military plans on working with for its electro-mechanical assembly needs has skilled employees that are fully trained & are up-to-date with current regulations & industry standards. Moreover, it's important to know what type of industry credentials a manufacturer carries. Certifications should include IPC/WHMA/UL certificates, as well as ITAR compliance, and they should have qualification in MIL Specifications. Finally, the military depends on a strict adherence to lead times for delivery of goods. While the budgetary concerns a general commercial industry may face are different for a government agency, there is still a need to respect said agency's schedule. Losing track of when materials will be delivered can be of grave consequence to the military. Both parties need to be in full communication at all junctures of the manufacturing process to be sure a contracted production date will be kept. Electro-mechanical assemblies can be found in just about any industry you can think of that uses a combination of electrical and/or mechanical components. Military assembly needs take on a more pronounced significance, requiring efficiency in the manufacturing & production process, rigorous testing, and strict standards in both industry credentials & delivery lead times. ‘Data’, this small word has a lot of significance. The data of any company is one of the most important valuables of the company. The data of any company includes the information of the company, its employees, the complete business, mission, vision and goals, past projects, history, future plans, information about clients, projects, deals and payment information, to name a few. The loss of data can create huge problems for the company, owner as well as employees. Some data is confidential, while some is not; the data is important and one cannot afford to lose it irrespective of the status of its confidentiality. The IT security companies help the businesses to keep their data secured. Those companies help to protect your data and save it from getting corrupted or deleted. Also, they save it from being stolen. Even if it the data gets lost, they provide the disaster recovery services to get it back. 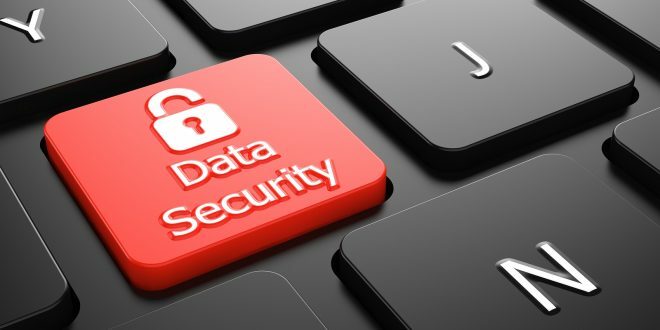 So, it is advisable to hire a reliable and reputed IT Security Company that helps you to keep your valuable data safe and secured. • Implementing strong passwords for the email accounts as well as the folders that have important information is the basic necessity. The strong passwords of more than 8 characters that includes alphabets, numbers and symbols; lowercase as well as uppercase is hard to crack. • Installing the reliable antivirus is one of the most obvious things. • Securing the mail accounts and folders are not sufficient; it is advisable to secure laptops and mobile phones. • Take the backups regularly. • Though it is one of the most obvious reason, but most of the people forget it that the valuable information is the most important asset of any business. So, it is essential to keep it safe. • Another reason to protect it is to stay ahead of the competitors and stand out the crowd. If your competitors know about your confidential projects, it is a serious disadvantage. • It improves your reputation and your clients start respecting and trusting you more for keeping their information protected with you. So, this way you are showing the care for your clients. • Taking security measures will protect your data getting lost, so you will save your time as well as money that you would have spent in recovering it. So, it helps you to reduce the cost of development as well save your time. • Two of the most important benefits are the improved software interoperability and meeting current standards. Also, this is the way you expand your business in the new markets. Tip 1 - Think about overlapping coverage. When building your setup, you should use as many cameras as possible so you are able to reduce or minimize manual cleanup later. Enough coverage translates into very decent recreation and you will also rarely miss any information when you use enough cameras so manual cleanup is very minimal. Tip 2 - Put in measures to minimize distortions. When there are distortions, it is given that your system will have issues aligning the images. The fact is that most Photogrammetry systems come with a lens that helps reduce images, but it is always a much better choice to try and minimize it in-camera. Use tools that match with the camera format that you are using to get the best results every time. Tip 3 - Mask out the background to dramatically improve overall quality of generated mesh and post processing time. It is a process that can be time consuming, especially when you need to go through every single picture but it pays off in the end. If manual masking is something you would rather avoid, then you can use systems that offer automatic masking feature to achieve a clean background. It also helps to tie cables together and eliminating any junk from the frame, especially when using a camera rig. Tip 4 - Focus on more resolution when operating. You can use as much as necessary from your sensor because the more the resolution you can achieve then the more detailed your mesh is going to be. Try every way not to waste a single pixel if you can actually use it for quality benefits. Tip 5 - Remember that lighting remains key in all kinds of photography. To increase depth of filed and eliminate photo noise, keep your aperture small and ISO as low as you can. But because doing so will definitely decrease amount of light that you get to work with, ensure that you have other light sources to substitute. Consider using flashes over continuous lighting that are less efficient, less color accurate and expensive for that matter. Flashes keep talent comfortable and enough lit unlike continuous lights that can produce heat leaving enclosed rig hot. Tip 6 - Pay attention to photo orientation. It is factor that plays a huge role in accuracy of projects and it needs to be accurate for every camera position. Increase number of well-positioned points to improve orientation quality. These points should take up a greater percentage of photograph area.